A friend of Russ and Sheila Stevens needs to access his late father’s Outlook Express messages—tricky since Outlook Express is no longer available. My answer covers more than Outlook Express. 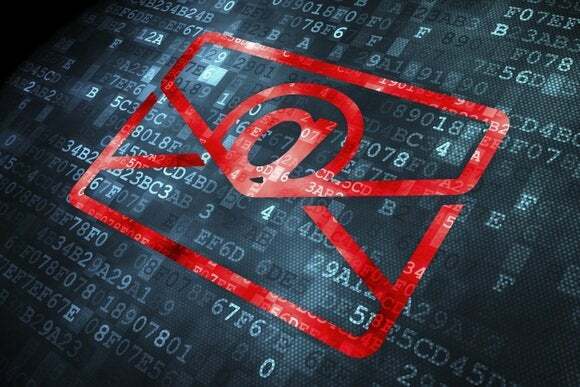 Keeping old emails is pretty easy as long as you keep the same email client. Once you move from one mail client to another, however, you may need special software to access older mail. Outlook Express was a mail client that came with Windows from 98 through XP. It stored email messages in DBX files. Each file contained all of the messages within a single folder, such as Inbox.dbx. Windows Mail came with Windows Vista. It stored each message in its own EML file. The result was a lot of little files, with Windows folders doubling as mail folders. For instance, your Inbox folder would contain a separate EML file for each message in your inbox. 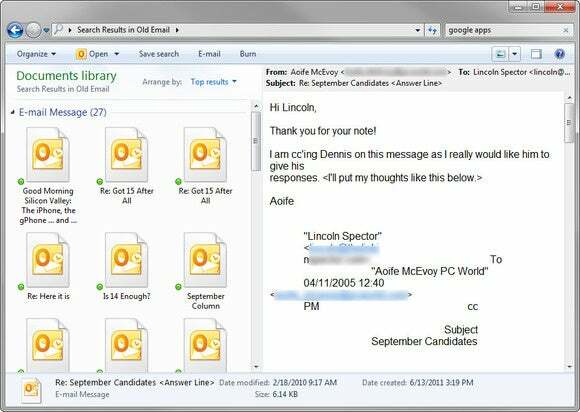 Windows Live Mail is a free Microsoft download—one of the Windows Essentials collection. It also uses EML files in the same manner as Windows Mail. Since Windows Live Mail is readily available and free, it provides one solution. It reads EML files, and it can import Outlook Express DBX files, turning the contents into EMLs. But if you’re not going to use it as a mail client, there are simpler solutions. One of them is built into Windows 7. The Windows Explorer file manager can search EML files for content. It can also display the contents of a message in the Preview Pane. Unfortunately, Windows 8’s File Explorer doesn’t support EML in the Preview Pane, although it can still manage a search. Another option: If you have Microsoft Office, you can read the files in Outlook. In fact, double-clicking an EML file will bring it up in that program. But neither Microsoft file manager nor Outlook supports DBX files. So if you have old Outlook Express files, or if you’re using Windows 8, you should download the free and portable MiTeC Mail Viewer. It searches and displays EML and DBX files. It also supports Mozilla Thunderbird files, but I didn’t test this feature. The program isn’t perfect. It displays each message as one big paragraph. And its search tool works on only one folder at a time. Another option: Install Windows Live Mail and use that to convert the DBX files into folders filled with EML files. Select the dark-blue tab to the left of Home, then select Import messages.